Breakfast:Start your day with a high fiber breakfast. Choose high fiber bread or whole wheat bread with 2 egg whites and a sliced tomato, top this up with a glass of skimmed milk. Or stuffed roti's (mooli, methi, cabbage, etc. avoid potato) with a cup of curd or skimmed milk or cereal and skimmed milk are some options. Idli or dosa with sambar and a glass of skimmed milk may be taken once or twice a week. Rice items are to be restricted as they are very low in fiber. Whole Wheat and other cereals like ragi, oats, cornflakes are good choices as the fiber is high and this helps in lowering lipid levels. Lunch:If you are in the habit of eating 3-4 C cooked rice at one meal, you should test your triglyceride levels. Combining rice with whole-wheat chapatis or eating ragi ball instead of rice is helpful as these have more fiber, which is useful for breaking down fat in the body. Try to restrict rice if eaten, to 1 C and eat 1-2 dry roti's with it. Dhal or pulses, half to one cup must be consumed along with half to 1 C of cooked vegetable sabji and a large bowl of raw salad. Curd made from skimmed milk can be taken liberally or 1-2 pieces of chicken or small pieces of fish may be eaten. Please strictly avoid the gravy of a chicken or fish curry as the gravy contains the fat from the masala as well as from the meat. Teatime:Tea/ coffee or a glass of skimmed milk with 2 marie biscuits or a slice of whole-wheat toast. Please don't be liberal with biscuits as they are made with margarine which is a saturated fat. You may put a few slices of tomato or cucumber or green chutney on your toast. Please avoid snacks and popcorn or puffed rice as they are very difficult to control in quantity. 6 pm: We advise that a fruit like an apple, pear, guava, or orange be eaten at this time which cuts down the hunger before dinner. If you are very hungry or going out for a long night you may have a glass of skimmed milk or lassi with the fruit which will be more filling and help you to control your intake at dinner. Dinner: We recommend 2-3 dry roti's or 2-3 slice whole wheat bread at night. The fiber in this helps to raise the metabolic rate and makes the bodywork harder to digest the fiber and thereby helps to reduce weight and lipid levels. Rice, noodles, pasta, idli, dosa, rava, semia etc. 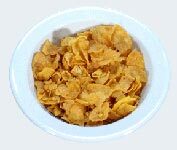 which are refined cereals are to be strictly avoided at night. Dhal or pulses must again be consumed at night and curd too may be eaten but non veg is to be strictly and completely avoided at dinner. An egg white may be eaten but the non-veg, even fish is to be avoided at night. Vegetable sabji too is best avoided and in its place a big bowl of raw salad or raita will do wonders for your metabolic rate and weight loss.